We all know the holidays just wouldn’t be the same if it weren’t for the sweets. 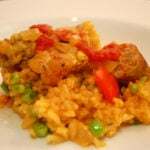 The holidays are a great time to visit Malaga! The weather is mild and there are plenty of sunny days to spend exploring the city. 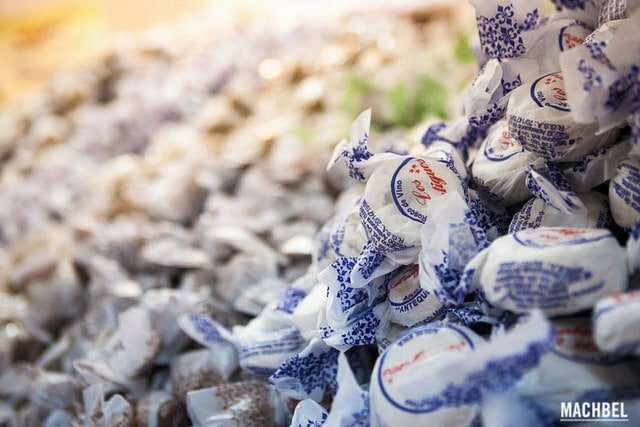 There’s lots to do in Malaga at Christmas, but it’s the sweets we really love! 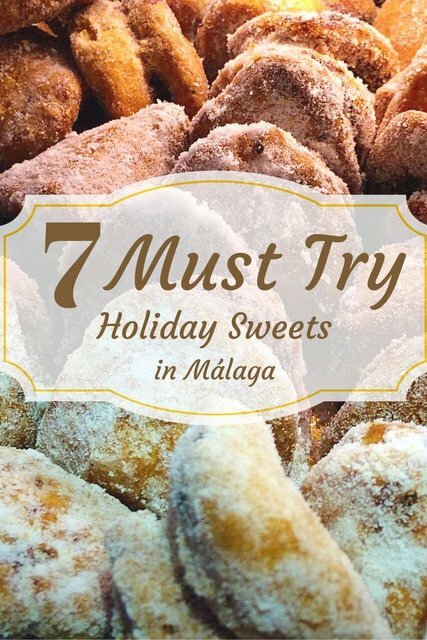 So with that in mind, we’ve put together a list of seven of the must try holiday sweets in Malaga and where to find them. These little sweets look like miniature doughnuts, but they are actually more of a cookie texture. 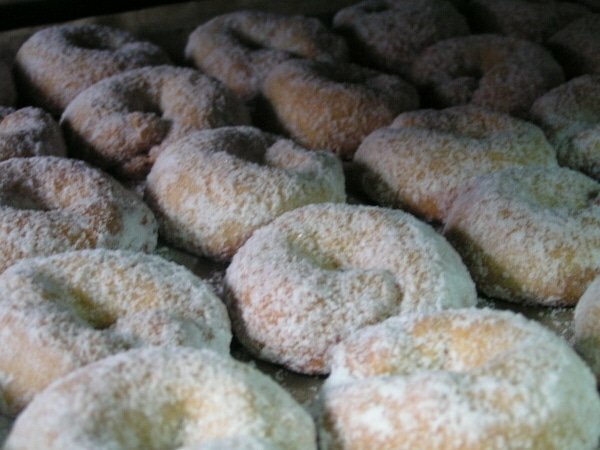 Made with sweet wine, which is typical of Malaga, the crumbly cookies are then covered in a sugar glaze so that they are golden brown on the inside and a pure white outside. Roscos de vino are one of the first things that comes to mind when we think of holiday sweets in Malaga. They come wrapped in wax paper, usually with a local company’s name stamped across it. 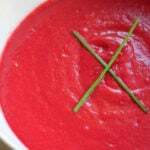 You can find them at the grocery store or any specialty food shop. 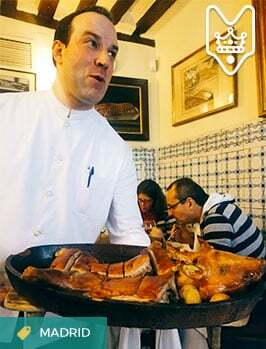 We suggest La Mallorquina in Plaza Felix Saenz (Plaza de Félix Sáenz, 7). 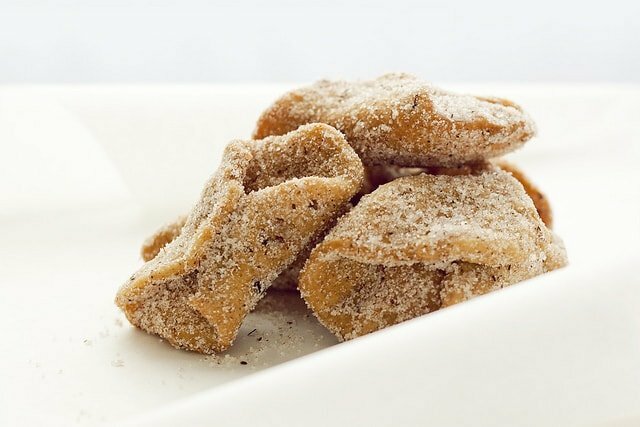 The name for these holiday sweets comes from the word “borracho” (which means drunk), so these are “drunken cookies.” Of course, in this case, they are drunk with cinnamon and sugar or honey! Borrachuelos look like pestiños, (which is next on our list), but they are filled with a sweet filling made with either pumpkin or sweet potato jam. The folded cookies are then coated in honey or cinnamon and sugar, and then they are ready to be devoured. Super sweet and deliciously sinful, just the way we like it! You can find these at any bakery or pastry shop in Málaga, but our favorite is La Canasta (Plaza de la Constitución). Pestiños are similar to the borrachuelos, but instead of a filling, these cookies get a lot of their flavor from the spices used to bake them. The dough is made with anis, clove, cinnamon and sweet wine, and it is more of a puff pastry texture than a regular cookie dough. You wrap the dough around your finger to form the shape and then fry it in extra virgin olive oil (which is the best oil to use for frying!) 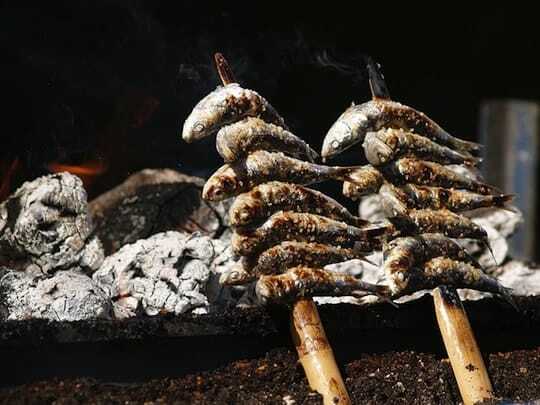 After the pestiño has been fried, you can coat it in cinnamon and sugar or honey, similar to the borrachuelos. You can find these holiday sweets right next to the borrachuelos at any bakery or pastry shop in Malaga. There is always a lot of confusion about the difference between polvorones and mantecados in Spain. Both are excessively crumbly, soft cookies. The polvorones are a type of mantecado made with almonds but with a slightly more oval shape. However, the basic cookie is the same. 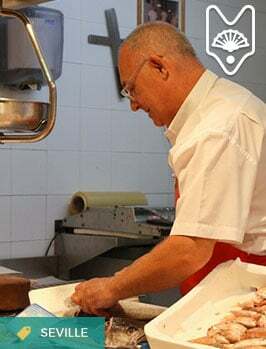 In the town of Antequera in Málaga, they make something called a “double mantecado” and you will see Malagueños squeeze the cookie before unwrapping it from the white wax paper so that it doesn’t fall apart before you take a bite! You can find polvorones and mantecados in any grocery or specialty grocery store. They sell boxes of these in many tourist shops, as well. 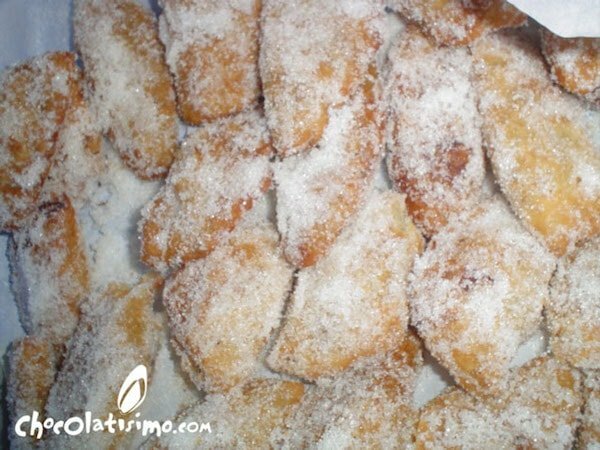 It’s one of the most popular holiday sweets in Malaga! 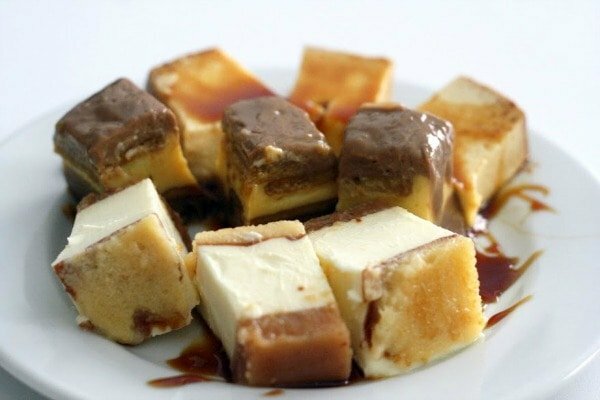 This is one of the holiday sweets famous throughout Spain. Turrón is a bar of nougat and almonds. There are several traditional flavors including chocolate and almond, however each year they also come up with interesting new flavors such as gin and tonic, bubble gum, and blackberry. There is something for every sweet tooth and it comes in a hard or soft variety, so be sure to try some! You can find turrón at most grocery stores and pastry shops, but we suggest you buy it from Casa Mira (Calle Marqués de Larios, 5). This is the same Casa Mira store that is famous in Madrid for its turrón. One of the brothers opened a shop in Málaga. It’s one of the best known spots to buy traditional turrón. You can even enjoy a turrón flavored ice cream if it’s a nice day! It wouldn’t be Christmas in Spain without turrón! This is one of the must-eat holiday sweets in Malaga! 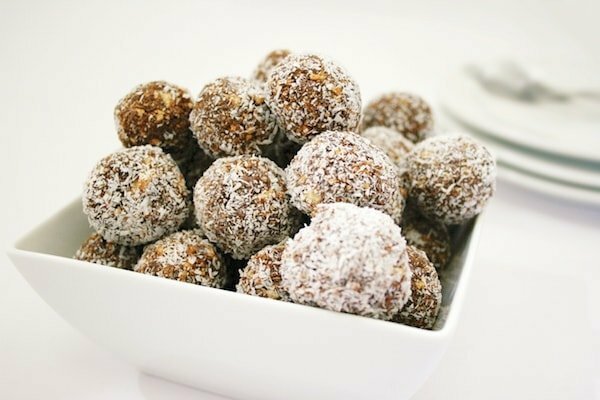 Bolitas de Coco are just what they sound like: little coconut balls! These holiday sweets couldn’t be easier to make, and if you like coconut, they are delicious. You can find them either coated with more coconut or covered in chocolate. Either way, it’s a delicious sweet that you can find any place where you would buy mantecados, polvorones or turrón. The roscón de reyes is a cake that looks like a huge doughnut. It is a dry cake topped with candied fruit, and often filled with vanilla or chocolate whipped pastry cream. 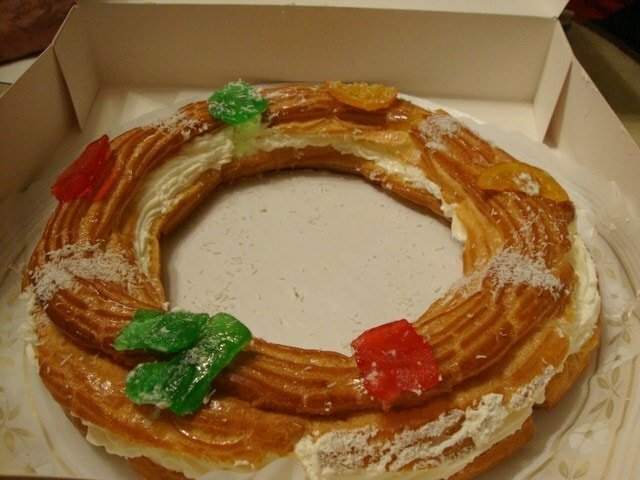 It is a tradition to buy a roscón de reyes the night before the Three Kings arrive. On the evening of January 5th Spanish families will share the cake searching to see who get the hidden lima bean. This person traditionally would have to pay for the cake. Sometimes the roscón de reyes also has little toys hidden in the frosting for the kids. Sometimes we’ll have a little slice of roscón de reyes the next morning with our coffee, too. This is one of our favorite holiday sweets in Malaga (and across Spain). You can find them at any pastry shop in Malaga. Roscón de Reyes filled with vanilla cream. 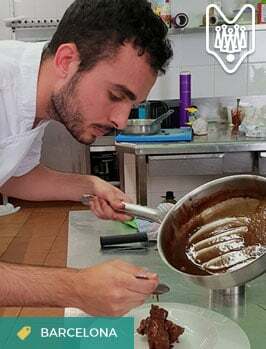 To try more delicious sweets and of course, other wonderful local foods, make sure you join us on one of our food tours! We can’t wait to see you soon in Malaga! 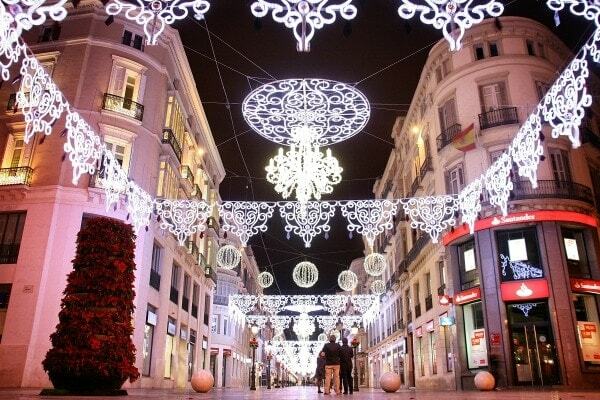 50 Things to do in Malaga at Christmas!